Not interested in watching grown men throw a pigskin around on game day? Try the Puppy Bowl IX on Animal Planet. Like any grand sports event, the Puppy Bowl will feature debut commercials by its sponsors, including Subaru. For four years running, Subaru has sponsored Animal Planet's SuperBowl rival, the Puppy Bowl, with its Dog Tested commercials. At this year's Puppy Bowl IX, the carmaker will be showing off a new social media tie-in series of television commercials and online games and events. Subaru Canine Sales Associate Grant Weber, who sells Subaru cars to dogs, is featured in several of the commercials as he shows various four-legged customers what they can expect from their new ride. 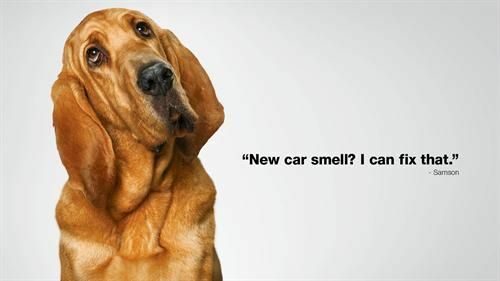 The campaign has been popular in the past and surveys show that Subaru owners are twice as likely to have a pet than are owners of other vehicles. So the Dog Tested series definitely hits home for many drivers. The commercials on game day will be accompanied by a new Facebook app that features four fun treats for dogs and their humans. The Dog Matchmaker is a Subaru vehicle finder for dogs. By giving basic information such as breed, weight, and lifestyle activity preferences and the app finds the right model for you. Ask a Dog Live will feature canine experts who will answer questions during game time. Four-Paw Drivers Club is a canine-only club for driving enthusiasts where a dog can get licensed to drive. Finally, Put Your Dog In a Subaru lets you upload a photo of your best furry friend and put them in the driver's seat of a Subaru in a moving photo collage you can share with friends. A new version of the MapMyDOGWALK mobile app is also available, allowing dogs and their humans to use geo-mapping to track and store daily walking routes in an online database. These maps are made available to any dog owner who is in the area, has the app, and wants to find a new place to go for a walk. Other items of interest like dog events and a social network of dog lovers and their dogs are included in the app.